Many injectable facial fillers are available today that can be used in combination to give you immediate improvement without downtime, scarring, or an extensive healing process. This is known as a Liquid Face Lift. 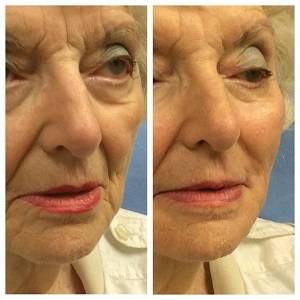 A Liquid Face Lift involves lifting, plumping, filling, smoothing and re-contouring the face with a combination of various injectable facial fillers. 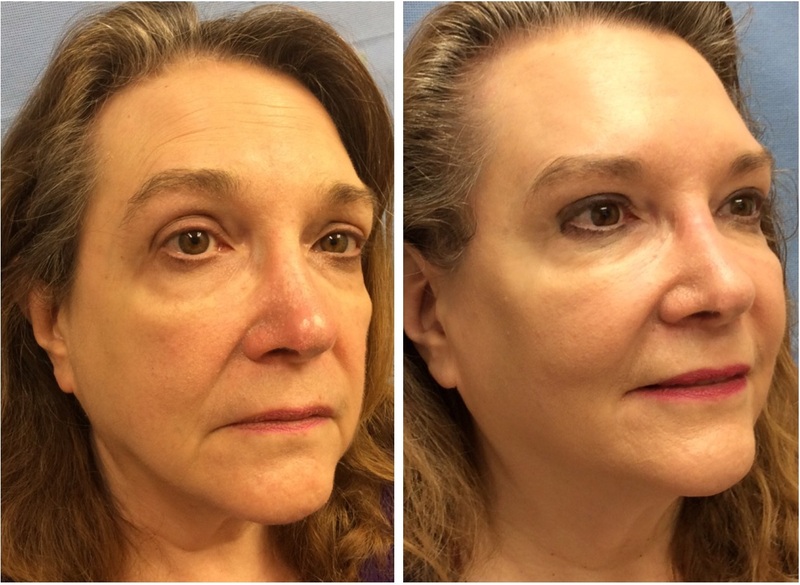 Dr. Lisa Bunin uses a combination of products that may include Restylane®, Restylane® Silk, Radiesse® Juvéderm® Voluma XC, Juvéderm® Ultra Plus XC, Voluma-R Lift© (Dr. Bunin’s own formula), and Sculptra®. 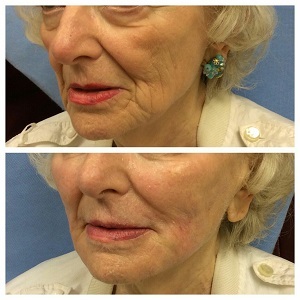 This patient survived mouth cancer and radiation, but was feeling sad and self conscious because of the rapid aging and loss of volume she suffered as a result. 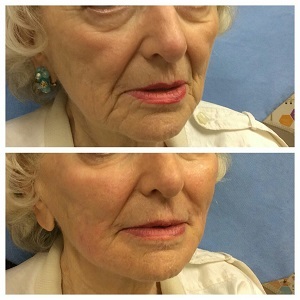 Dr. Bunin used dermal fillers to re-inflate the area around her mouth and chin, (nothing was done in the lip), added a little volume in her cheeks to give balance and a more youthful look, and make her feel better about herself. She loved the result and told us she feels like herself again! Dr. Bunin feels so privileged to be able to help patients like this! 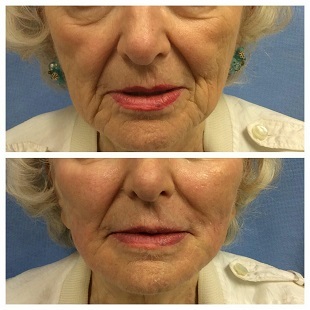 This lovely 82 year old woman wanted to look more “refreshed” but did not want to have any surgery. She didn’t like her sunken cheeks or the loss of volume around her mouth. 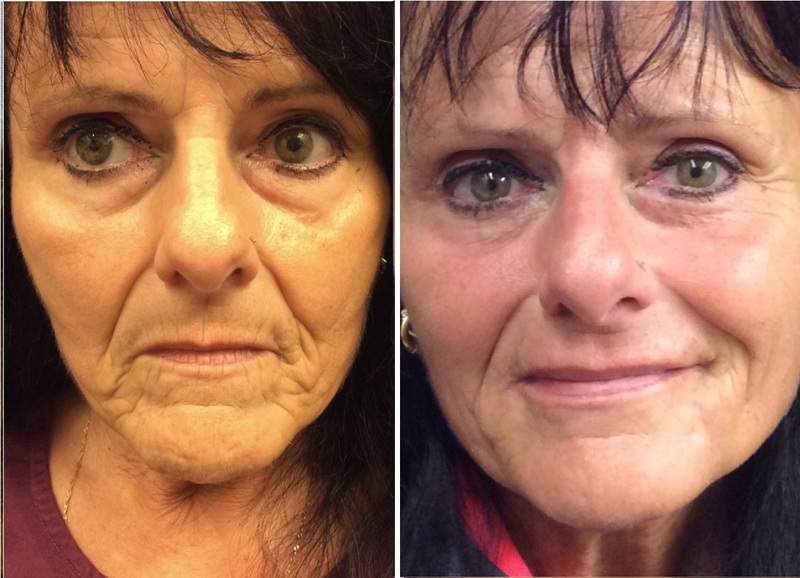 Using a combination of dermal fillers Dr. Bunin gave her a “liquid facelift”, filling her cheeks, malar split, marionettes and chin area, and here she is immediately afterwards.